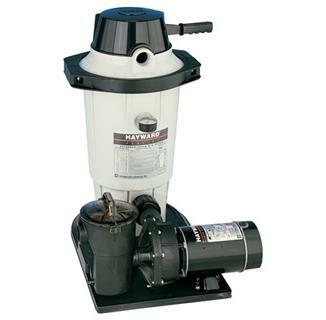 Hayward Perflex® EC50 Series DE Filter System. 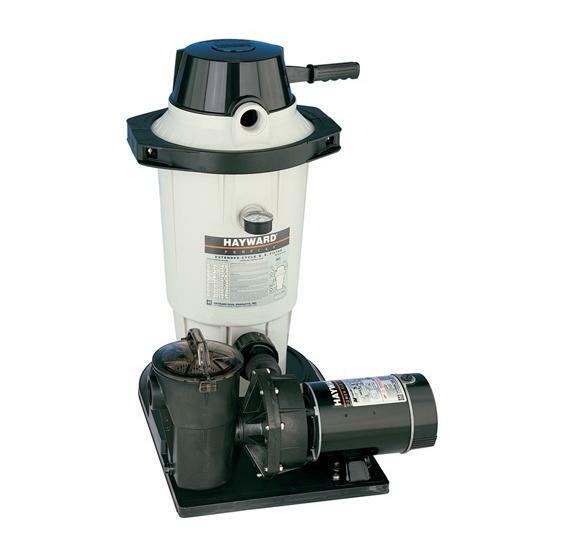 Includes a 1-1/2 hp Power-Flo Matrix™ pump, a base, and attachment hoses. The Hayward Perflex® Extended-Cycle Filter, Model EC50, is a high performance swimming pool filter rated to filter 3000 gallons per hour. Combined with a 1.5 HP Power-Flo Matrix™ pump, this system delivers advanced filtration ability to your above ground pool. The Perflex system is characterized by quality, value, dependability, and crystal clear water. It is designed to operate with less resistance than conventional models, thereby filtering more water with less horsepower and energy usage. Exclusive "BUMP" action means no backwashing is ever necessary! Perflex Extended-Cycle D.E. filters clean above ground pools fast and effectively, able to remove particles as small as two microns the first time through. Its patented Flex-Tube™ design and exclusive "BUMP" action means longer filtration cycles and no backwashing. It also saves on filtration material: the Perflex uses the same D.E. filter powder over and over by periodically regenerating the powder by the way it drains. That's why they call it the Extended-Cycle System. No backwashing saves hundreds of gallons of treated pool water, making the EC50 series an exceptional value as a replacement filter or for new pool installations. I have had the same Hayward Perflex for 12 years now. Had to replace the 1 1/2 HP pump once. It is a simple, powerful, effective unit that has never let me down. I would never use anything else! I've only had one other filter system on my pool but this one blows it out of the water. I didn't expect to see a big difference but my pool is much, much cleaner. And no backwashing? Worth buying for sure.